Robert Waidelich, 75 died after a brief illness August 20, 2018 peacefully at his home in Camdenton, MO. He was born October 27, 1942, in Waverly, IA son of George and Genevieve (Notton) Waidelich. Bob attended school in Nashua, Iowa and graduated in 1961 and went on to Gates Business College in Waterloo, Iowa. He married his high school sweetheart Donna (Zwanziger) Waidelich in 1962 and they started their family in Nashua, IA before relocating to Bettendorf, IA where they raised their three children. 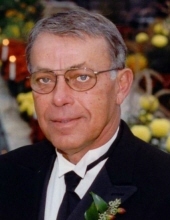 Bob had many interests including coaching little league, golf, playing cards with friends, and was a loyal Hawkeyes fan. Bob was a devoted caregiver to his wife Donna through her illness and death in 1986. Bob married Cheri (Stoffers) Kelly in 1991. Bob and Cheri made several moves with their careers at J. I Case living in Wausau, WI and Fargo ND before he was fortunate enough to retire at the age of 57 and build their retirement home in the Lake of the Ozarks. In retirement he added fishing to his list of hobbies and of course a lot more golf. Bob is survived by his wife Cheri, (Camdenton, MO); daughter Janet (Philip) Gracia, St. Paul, MN; son, Doug Waidelich, Dallas, TX, daughter, Jill (Bobby) Marsh, Apple Valley, MN, Stepson, Eric Mueller, Las Vegas, NV, Stepson Chris Mueller, Bettendorf, IA; grandchildren Paige, Cameron, Carly, Gabrielle, Ashley and Kale and sister Kathy Liddle, Yucaipa, CA and a host of extended family and friends. Bob is preceded in death by his parents George and Genevieve Waidelich, wife Donna Waidelich, sisters Ann Henn and Mary Lodge, brother-in-laws Arnold Henn, Larry Lodge, James Liddle, and his faithful dog Shibu. To send flowers or a remembrance gift to the family of Robert J. Waidelich, please visit our Tribute Store. "Email Address" would like to share the life celebration of Robert J. Waidelich. Click on the "link" to go to share a favorite memory or leave a condolence message for the family.